If your alarm in your smartphone isn’t enough to wake you up and get you out of your bed early, it’s time you need to get a different device which will literally make you crawl out of your bed and ensure you’re 100% awake. 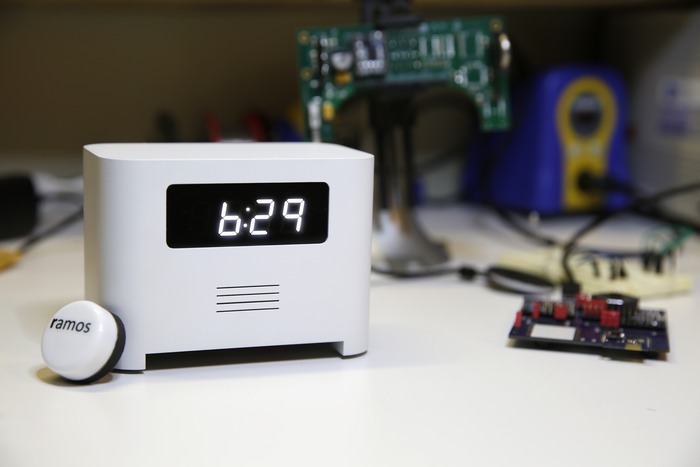 Ramos, the new smart alarm clock, which is currently being developed has popped up for funding in Kickstarter. A sensor comes with the device which has to be placed in any location in the house. The way the device works is when the alarm rings, it would require the smartphone to be placed near it so that it’s successfully switched off. By doing so, this would definitely kick away the sleep that you would have left when waking up. Even if that’s not enough, the person might go for the harsher step which is, memorise a hard code to stop the alarm. So if you think this device really needs to see the light, visit the Kickstarter website to make a pledge and help Ramos become a reality.